How to School Sign up, Student registration at Sceince India Portal : www.ScienceIndia.In. Science India Portal is an Subject related Articles Blog / Virtual Science Portal for Indian Students. 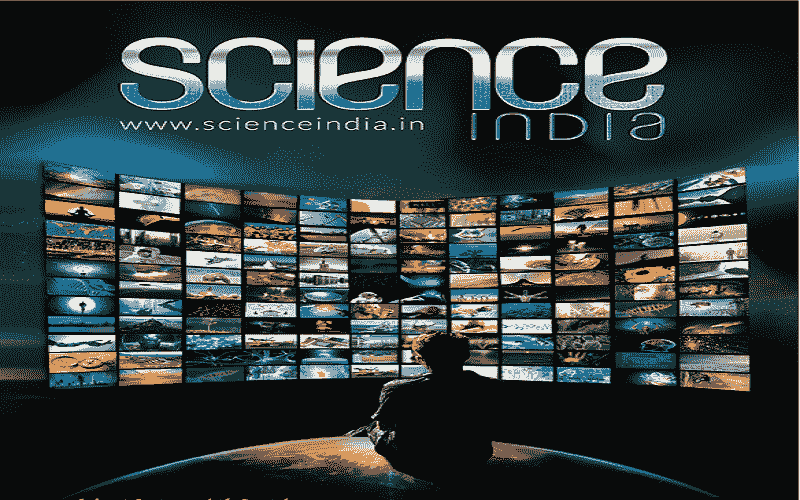 www.scienceindia.in is presently aiming at school students only. However, students from college can contribute through volunteering in a very dynamic way. You can fill and submit the volunteer registration form available in the downloads and links part. How can register for school students? What are the procedures that need to be followed? Step 2: Mobile Verification: On submitting the form an SMS from MD-SCIIND containing a one time password (OTP) will be delivered to your registered mobile number. This OTP needs to be entered in the browser for authentication of your mobile number. Step 3: Email ID Verification: A email to your provided email id will be sent along with your username, given password and a link to verify your email id. Click the link to complete registration. Step 4: Authentication procedure of (c) and (d) are intended to prevent misuse of portal through creation of fake accounts. SO KINDLY ENSURE THAT YOU ARE PROVIDING A VALID MOBILE NUMBER AND EMAIL ID. Step 5: With the given username and password the school can login and get access to the school profile page. The Principal also has an option to add students manually. Step 1: Now students of your school can individually register themselves at www.scienceindia.in using the Unique School Registration Code. Step 2: On the right top corner of homepage Click Sign Up => Student Sign Up => Provide Unique School Registration Code as given in the invitation letter. Step 3: Registration Form: Fill up and submit the student registration form. Step 4: Now check your given email id for username and password. Using this username and password the student can log in. Step 5: First time login as student and Mobile Verification: After Logging in using the student username and password and an SMS from MD-SCIIND containing a one time password (OTP) will be delivered to the student's registered mobile number. This OTP needs to be entered in the browser for authentication of your mobile number. Step 6: Once the authentication is complete then the student can use the facilities of the portal: write articles/blogs, interact with mentors etc. School teacher and many of their students have been already enrolled in the portal and are getting benefitted. How can he invite other schools to join science India portal? We are happy that students are benefitting from the portal and you wish to spread the news of this novel initiative! In the downloads and links page we have a facility to send ‘e-invitation’. Here all you need to have is the name of the principal and the address of the school you wish to invite to register in the portal. You will have to manually type the above two information and submit. On doing this the system generates an e-invitation letter in a PDF format. This can either be color printed or e-mailed to the principal of the concerned school. An individual school student not able to sign up / register. Why? My school had enrolled my name in the portal. I have forgotten my username and password. What do I do now? There is no need to worry. Your username and password can be retrieved by your teacher from the control page of your school’s home page. Just inform your teacher and please do write down your username and password somewhere so that you do not repeatedly disturb your teacher for the username and password. Iam a college student and i did not find any signup option for college students. www.scienceindia.in is presently aiming at school students only. However, students from college can contribute through volunteering in a very dynamic way. You can fill and submit the volunteer registration form available in the downloads and links part. 2. On clicking it you will be directed to the signup / registration page. 3. Either the principal or a teacher nominated by the principal can fill the basic information about the school, its details, total strength etc. in the registration page. This is important as the information given in the registration page will reflect in the school profile page of the portal. Please note that the information can be edited later. 4. Now you will need to wait for the webadmin to technically activate your school profile. After the account has been activated you will get a verification link in your email along with Username /Password and a One Time Password (OTP) in your phone for authentication. This authentication procedure is intended to prevent misuse of portal through creation of fake accounts. SO KINDLY ENSURE THAT YOU ARE GIVING THE RIGHT MOBILE NUMBER AND EMAIL ID. 5. Click on the verification link and provide OTP for first time sign in. 6. Soon after the first time sign in a lot more information about the school can be added in the profile page. This school profile page will also act as the control panel for the principal / concerned teacher in adding and removing the name of students, transferring their rolls from one class to another class, monitoring the performance of the students and many more. Therefore the username and password need to be kept secret with the principal. 7. In the control board (of the school profile page) the principal or the concerned teacher can enroll the students by providing the basic information of the students such as name, date of birth, gender, class and division. From time to time in the initial stage the science portal shall limit the number of students. So the principals are requested to enroll equal number of students from all classes of 6th to 12th. The limit will increase gradually. 8. Once the list of students is submitted the system will auto create a username and password for each individual student and after the approval of the admin it will be send to the registered mail of the school principal. The teacher can manually distribute the username and password to each student. Every time the concerned teacher log’s in she/he can see the list of enrolled students and the respective username and password. Even if the students forget their username or password they can retrieve it through their teacher from the control page. So therefore the teacher will have access to the updated usernames and password of each student. But this should be used by the teacher only for positive monitoring and give the students the required freedom to explore and present their ideas in the portal. 9. After the teacher distributes the username and password to each student, they can individually login and explore the portal. During first time login students will be asked to fill in more information regarding their profile. When registration is complete the user will be directed to the profile page .Teachers need to note that the portal has many activities. Some may be in planning stage and some activities might have started. The Science Portal team is trying its best to fasten the beginning of all activities.